This drawing shows, that the governor was rotated by 18⁰. The reason for this unusual arrangement became obvious when I fit into the model the first, simplified version of this object. This rotation directs the control cables between cylinders 1 and 2 (Figure 89‑2b). Do you remember the two small holes in the deflector depicted on the second-last photo from the previous post (Figure 88‑10a)? They were made just for this cable. First I recreated the governor shape using a group of simple “blocks”: cylinders and boxes with cylindrical sections. Then I adjusted their proportions and positions, so that they resemble the original object. Finally I started to join these objects (using Boolean (Union) operator), and rounding their intersection edges using a multi-segment Bevel (Weight) modifier (Figure 89‑4a). I set up a large “nominal” radius of this Bevel modifier (1.3”). Then I controlled the radii of individual fillets by assigned fractional bevel weights to their intersection edges. I practiced that you can set these fractional values in the Mean Bevel Weight field of the Edge Data section, at the top of the View>Properties region. (The region at the right edge of the 3D View window that Blender shows/hides when you press the [N] key). You can see the final result in Figure 89‑4b). Note that I had to check the control cable clearance behind the deflector (it has to pass by the intake pipe of the cylinder 2 – as in Figure 89‑4c). However, the fillets in Blender are far from the ideal: I gave up with the edge of the rear outlet (Figure 89‑4d). To not spoil the previously rounded edges, I had to leave this cylinder as a separate object, just attached to the main body by the “parent” relation. (Fortunately, this is a less visible detail). To round this edge, I should sculpt it in a mesh that is “dense” enough (i.e. has enough faces in this area). Such a labor-intensive solution does not match the level of detail assumed for this model. As usual, I started with a simplified, conceptual object (Figure 89‑5b). It allowed me to adjust the proportions and size of this feature, as well as the mesh topology. Then I joined it with the corresponding crankcase segment, and rounded the newly created intersection edge with a multi-segment Bevel (Weight) modifier (Figure 89‑5c). You can see the final result in (Figure 89‑5d). First I placed all the cylinder elements on layers 13, 14, 15, then declared them as an object group (Figure 89‑6a). (I did it using the Object>Group>Create New Group command. Blender highlights the objects that belong to the same group with a green outline, which you can see on this picture). I named this group G.G05.Cylinder. Note that it also contains the crankcase segments located around the cylinder (elements from layer 11). Beware that Blender assumes the center point ([0, 0, 0] in the global coordinate system) is the eventual origin point of an object group. Thus place your source objects accordingly in the space around this point. When this “group definition” was ready, I turned its source layers off, set the 3D cursor to the engine center point, and in the top view I inserted the first instance of this group (Add>Group Instance). You can see it in Figure 89‑6b). (Accidentally, it is located in the same place in the space as the source objects, but you could insert it anywhere). When you examine this cylinder, you will discover that this is an Empty object, which contains reference to the G.G05.Cylinder object group. To “populate” this engine, just create clones of this first instance, and rotate them around the center point by 40⁰, 80⁰, 120⁰, and further angles. You are placing in this way the subsequent cylinders in their locations (and rebuilding the mid- and rear-crankcase, as well). Figure 89‑6c) shows how it looks like. Note that I have placed all these cylinder instances on a different layer: 3. Such instances of an object group are a great tool in dealing with repeatable machine parts. When you add an additional object to this group, it immediately appears in all cylinders. When you remove an object from this group – it disappears from all instances (although it still exists on one of the source layers). This means that I could use these instances earlier, without worrying about adding the remaining details! Well, in my next model I will recreate the cylinders at least in the middle of the project. It is always better to see the whole engine. What’s more, Blender optimizes the way it displays and renders such instances: note that its Faces/Verts/Tris counters do not take into account their meshes! As you can see in Figure 89‑7b, c), there are just few of such collisions, caused by the clamps on the pushrod seals. I have tried to rotate these clamps, hoping to find a universal “neutral” position that does not collide with anything. Finally I gave up: I excluded clamps from the object group and copied their clones around the engine. Then I could rotate each of them separately around the pushrod, fixing every collision that I had found. I named this group G.G10.Deflector. Its source objects are located on layer 16, while the group instances – on layer 6. At this moment all the deflectors are identical (for example, they were mounted in this way in the “Cyclones” used in the B-17s). For such an effect I could simply add the side deflector into the cylinder group (as I did for the cylinder top deflector). 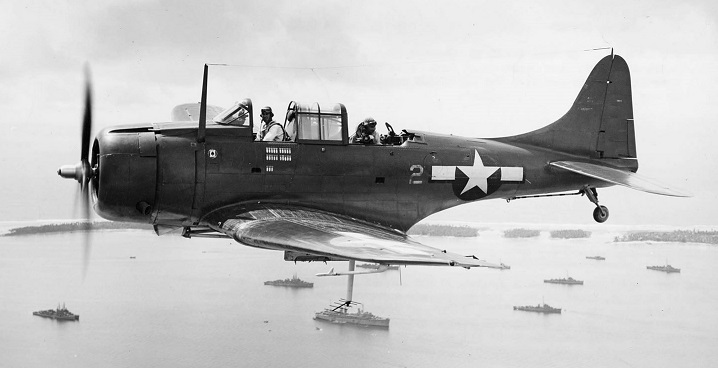 However, in the SBDs there were two gun troughs in the cowling, on both sides of the topmost cylinder. Thus I decided to define this deflector as another group, because in the future I will have to replace the two topmost deflector instances with modified clones. For the same reasons I “extracted” the side beam from the rocker cover into a separate object (Figure 89‑8b). Looking at Figure 89‑8a) you can find some additional parts: a few dozens of new bolts, as well as the scavenge oil pipe. (This pipe connects the bottom of the oil slump with the pump in the rear). As you can see, the cables occur in pairs. In each pair there is a longer and a shorter cable. The longer one connects the rear spark plug (Figure 89‑9c). (I know that this is the “invisible” area, but I could not resist the temptation to recreate this detail). The shorter one connects the front spark plug (Figure 89‑9b). All cables of the same length (short or long) and their terminating nuts share the same mesh (they are clones). However, each of them has its own shape, because their Curve Deform modifiers refer to their individual curves (Figure 89‑9b). I copied these curves around the crankcase, and then introduced minor modifications to their shapes. Also the clamps that attach these cables to the pushrods are individual clones. I introduced some random variations to these shaping curves and the positions of the cable clamps that attaches them to the pushrods. In this way they resemble the original, manually connected cables. The only missing element in this model are the engine data plates. I will recreate them later, together with the cockpit details. (They require a dedicated, high-resolution texture). The engine seems to be complete. (Of course, for the assumed level of details: the rear crankcase sections and their equipment are recreated in the form of simplified blocks). I will fit it into the cowling, then cut out the deflectors below the gun troughs. I zoomed the data plate on one of my reference photos, and found that this is the R-1820-60 (the version used in the SBD-5: 1200hp for takeoff). All the manuals and blueprints that I have collected describe this or one of the later “Cyclone” versions. Thus I can conclude that the R-1820-66 (the version used in the SBD-6: 1350hp for takeoff) seems to be identical (at least as viewed from the front). I quickly found another one: in the R-1820-52 the ignition manifold forms a full circle, while in the R-1820-60 it is a 300⁰, “U-shaped” arc). I decided to look closer at the differences between the R-1820-52 and -60. I will report my findings in the next post. You can download the model presented in this post (as in Figure 89‑9) from this source *.blend file. 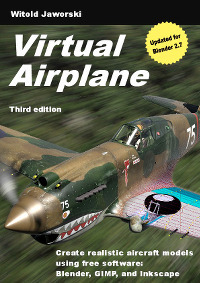 It is available under CC-BY license and can be useful for other aircraft, for example the B-17 or the F4F-4.